Excel Roofing Services Limited was founded in 1998, within its senior management there is over 50 years of experience covering all aspects and types of roof coverings. All are members of the Institute of Roofing. Since its formation an experienced management team and a reliable, versatile workforce has been established, along with a reputation for delivering an industry leading roofing service – consistently achieving the highest standards of quality, safety and communication with our customers. 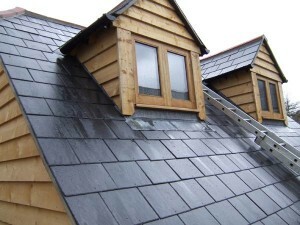 The ability to combine traditional roofing skills with modern practices, using the latest products and systems, enables us to undertake a wide range of contracts including new and refurbishment work for private individual clients, regional and national house builders, construction companies and local authorities. Through our membership of the National Federation of Roofing Contractors (NFRC) we remain informed and up to date with the latest roofing standards, products and technical developments. We are also members of the Heritage Roofing Registar. As members of the South Central Roof Training Group (SCRTG) we have access to formal training and health and safety advice and HCS Safety are our formally appointed Health and Safety advisors. In addition to this, all operatives are registered with the Construction Skills Certification Scheme with many being fully qualified. Our senior management are White Professional CSCS card holders – the highest card achievable under the scheme and are also members of the Institute of Roofing. These commitments ensure we maintain a competent and safety conscious team.